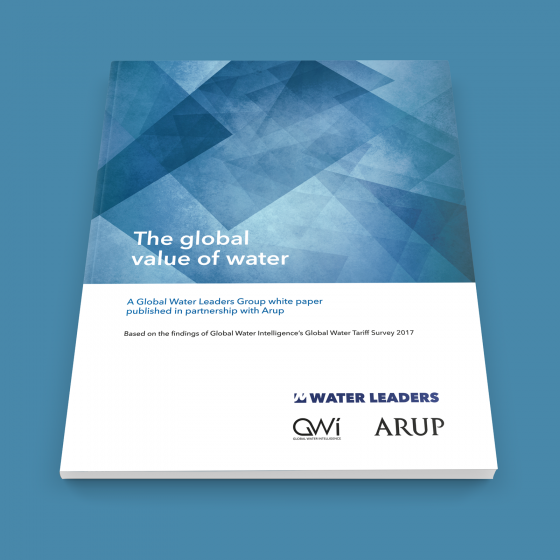 An 80-page printed report summarising the results of the 2017 Global Water Tariff Survey, analysing the cost of water and wastewater for consumers around the world. 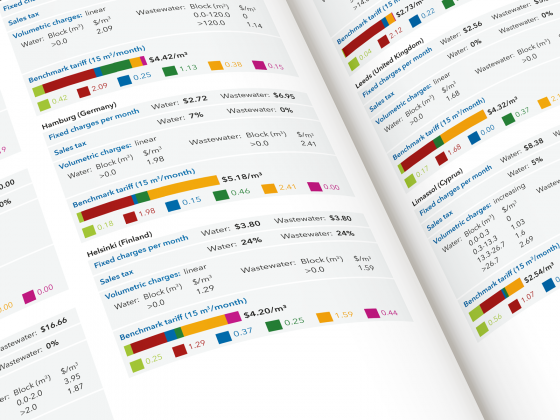 I was responsible for the design and production of the report, including both text and graphical content. 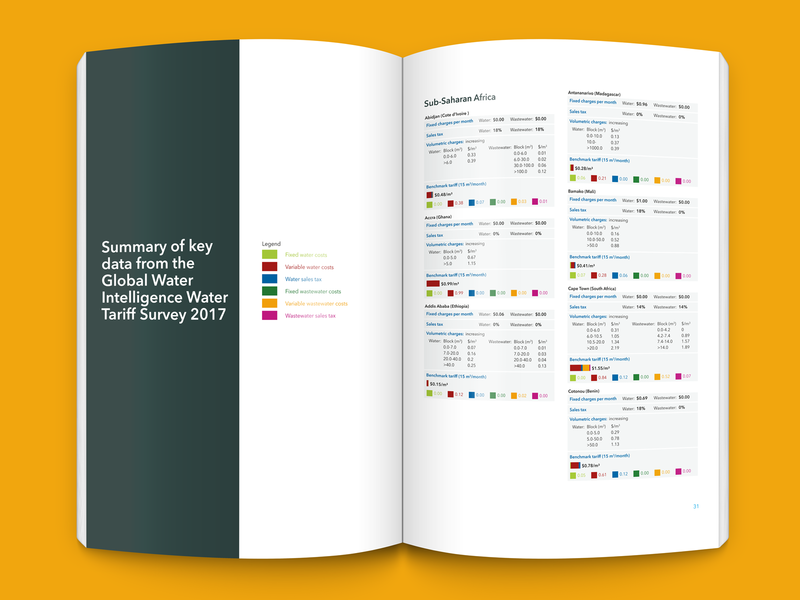 A particular challenge was showing the summary tariff data for 452 individual cities in a coherent chart format that was both easily explored by the reader, as well as being straightforward to create and update. 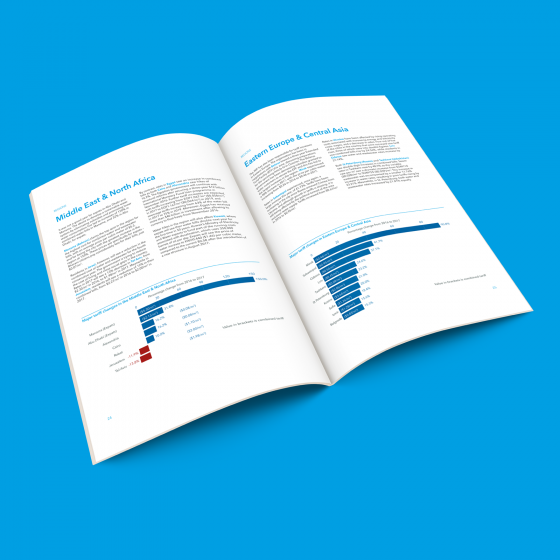 Previous versions of the survey used an enormous stacked bar chart that was cramped and difficult to interpret. I instead split the data into 452 separate bar charts alongside simple tables. Although this came at a large cost in terms of space (the data now occupied around 50 pages instead of just 8), it allowed for much clearer interpretation of the tariff breakdowns, as well as room for additional data fields that had been requested. The chart-table elements were generated using a custom script run within InDesign and fed from an Excel spreadsheet.